Are you looking for a trusted and registered Australian immigration agent in Brisbane? Would you like to use a MARA registered visa consultant/immigration agent in Brisbane for Australian Visa? Immigration to Australia can be simple and straight forward if you use a trusted, honest and experienced MARA registered Australian migration Agent. A registered Australian immigration agent is someone registered with the Australian Office of the Migration Agents Registration Authority (Office of the MARA) who can provide Australian immigration and visa advice and assistance on visa requirements, help lodge a Australia visa application and deal with the Australian Department of Home Affairs (www.homeaffairs.gov.au) on your behalf. 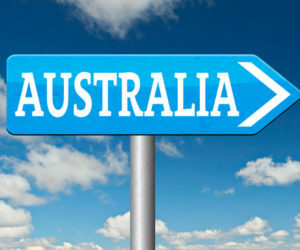 Our Australian Immigration Agent in Brisbane can help you to achieve your Australian Migration ambition. Please see our testimonials page. Dr Annathurai is extremely efficient, fast and accurate throughout the entire process. Visa process is extremely stressful and documentation heavy. But under Dr Annathuraia € ™s guidance the entire process is a breeze. He is always at hand if we need any guidance and from the word go we are given all the information we need to make the entire process as easy and seamless as possible. “I take the pleasure to write a few words about Dr Anna: a reliable professional, fully confident, sincere and amicable gentleman. I owe my gratitude and appreciation to Dr Anna for his professional service, which made the rather difficult and anxious application process enjoyable. I would specially like to thank him for guiding me and my wife very efficiently and provide service that suits our need. I am thankful to Dr Anna for understanding my situations; process the documents with utmost sincerity which helped my family to get permanent residency in Australia relatively quick time.